We are more than delight to announce new Orthomol Sport ambassador. 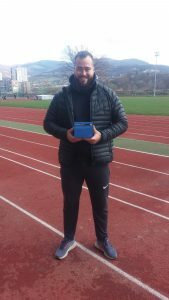 Shot put Balkan recorder, 6th place on last European Athletics Indoor Championship, one of the best Bosnian Athletes, Mesud Pezer. We hope that our support will help Mesud to achieve his best results. Tokyo Olympics is the goal. For those who give everything.